Tree section contains a combination of tree clip art and animated tree clipart. Year in the life of a tree. Tall fir tree transparent gif file. Palm tree with double curve and dark green fronds. 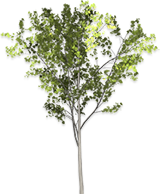 Fraxinus Griffithii Evergreen Ash - PNG with transparent background. Apple tree full of red apples. A more complex palm tree with detailed fronds. If you use our free tree images please give us credit. Thank You.